360 Inspection Services proudly serves clients in Woodstock, Ontario offering our exclusive home inspection services, infrared (IR) thermal imaging and mold & indoor air quality testing services to provide you with one of the most comprehensive, fully customize-able home inspection packages available on the market! Call today to book your home inspection services, infrared (IR) thermal imaging and mold & indoor air quality testing in Woodstock, Ontario. Our certified, professional home inspection experts will respond quickly and have your customized pre-purchase, pre-listing, home warranty or condominium inspection services booked in no time! Scheduling is easy, ​contact us at (226) 972-6440 to schedule an appointment today, or request an inspection online using the contact form. Buying a Home in Woodstock? Selling Your Home in Woodstock? We have three exclusive home inspection packages that allow you to select the range of home inspection services you prefer, so you can have peace of mind about your real estate decisions. Check out the different options below and choose the one that fits your needs and budget. To ensure we meet all your needs, we also offer additional services such as mold and indoor air quality testing, asbestos testing and infrared (IR) thermal imaging inspections that can be added to your inspection package at a discounted rate. * Pricing based on property description as provided at the time of booking. Price does not include applicable taxes. With each one of our home inspection services you will also receive our exclusive set of additional services offered in our 360ELITE Inspection Support Plan - the cost? Nothing! We offer this as an extended service for absolutely FREE. You will not find this level of commitment or confidence in any other Burlington, Ontario ​home inspection company! 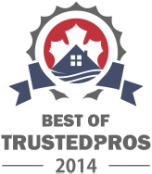 360 Inspection Services is dedicated to delivering the best home inspection services throughout Woodstock, Ontario. ​Our top-rated reputation is built on honesty, integrity and excellent service to our customers at one of the most important decisions in their lives – buying or selling a home. We are committed to ensuring that each of our customers enjoy an exceptional inspection experience. ​Contact us at (226) 972-6440 to schedule an appointment today, or request an inspection online using the contact form. Please use this contact form if you have any questions, would like to request a quote for any of our services or if you would like to book an appointment. Let us know when you would like the inspection and any special instructions. We are here to serve you. 360 Inspection Services performs pre-purchase and pre-listing home inspections throughout Kitchener, Waterloo, Cambridge, Guelph, Brantford and London. We also provide mold & indoor air quality testing, radon testing, asbestos testing and infrared (IR) thermal imaging services.